The winter months are finally upon us! Yay, it's nearly Christmas! One of my favourite times of year! But sometimes the darkness seems to wrap around us like a cloak, from the minute we open our eyes to the crisp, cold mornings to the second we climb back into bed. Its easy for the positivity and joyful bounce to subside and for the pessimism and misery to set in during the winter months! For some, leaving the house for work or school and arriving back home in the pitch black can sometimes make you feel like you've missed a whole day! For others, the gloominess is overwhelming and claustrophobic and can make you feel like hibernating along with the animals! It's at this time of year that many people suffer with general "winter blues." Others may develop Seasonal Affective Disorder (or aptly named SAD for short), a "winter depression" that is usually more severe in the winter months. 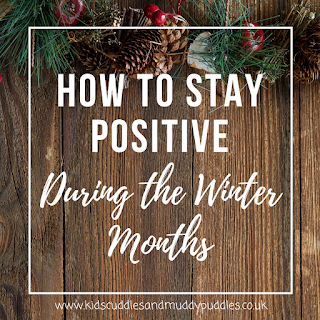 So how can we pull ourselves out of the winter blues and stay positive during the darker months? We can learn a lot about surviving and embracing the winter from the Scandinavians, many of whom spend up to 6 months of the year in twilight and never-ending darkness! Norwegians have this lovely word, "koselig." It's quite hard to define as it's more of feeling that is created! That cosy, warm feeling you might get when enjoying a traditional roast dinner by a country pub fire, or how you feel when wrapped up in blankets watching Christmas films with the kids on the sofa, complete with hot chocolate and marshmallows! Koselig embodies warmth, cosiness, happiness and content. 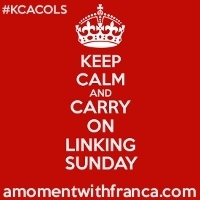 So how can we make our lives more koselig and fight off those winter blues? Here are some simple ideas! Light, or the lack of it, can really dampen our moods. In fact, SAD sufferers and those who need a bit more of a boost, can opt for light therapy using specially made lights. For those just seeking a bit more sparkle to "lighten" the mood, why not fill your room with fairy lights and candles, or treat yourself to a nice new table lamp! Low lighting and scented candles can help you de-stress. Scented candles with seasonal smells such as spiced pumpkin or cinnamon and berries will awaken your senses and remind you of happy times, whilst the soft, low light helps to reduce stress and calm us down. One of my favourite winter pastimes is wrapping up on the sofa with soft fleecy blankets, cosy warm socks, a hot drink and a good film or series to get stuck into. Whack the heating on or light the fire to make it really toasty! The whole family can be involved in a snuggle-up sesh, and its a lovely way to while away a few happy hours in the evening! Grab your thickest coat, layer up with scarves, gloves and warm shoes and get out for some fresh air! You don't have to go far; even just a brisk walk around the block will get your blood flowing and make you feel re-energised. Make sure you stick to well-lit areas or wear something bright and reflective so you are visible to traffic in the dark. So put your (thermal) positive pants on and get outdoors! Wrapped up for a walk in the snow! Another of my favourite things is treating myself to a nice coffee when I'm out and about. But this doesn't have to stop when you're at home! Buy a selection of seasonal flavoured teas or nice coffees - The instant flavoured sachets are great for this. 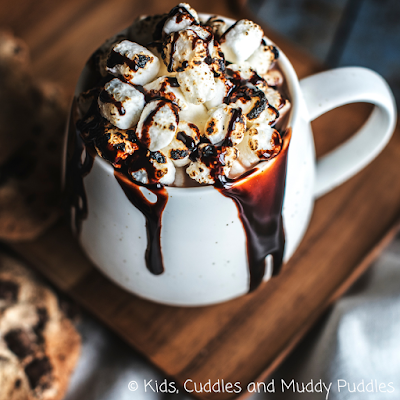 Add marshmallows, whipped cream and wafer rolls to hot chocolates. Make your own mulled wine or warm fruit punch. Get that posh coffee shop feeling with half the calories and cost, and indulge in the decadence and enjoyment of a homemade hot drink treat! Treat yourself to a luxury hot chocolate! Have a "Mum's Night In!" Being a mum of two small children, I know just how hard it is to take some time out for yourself. 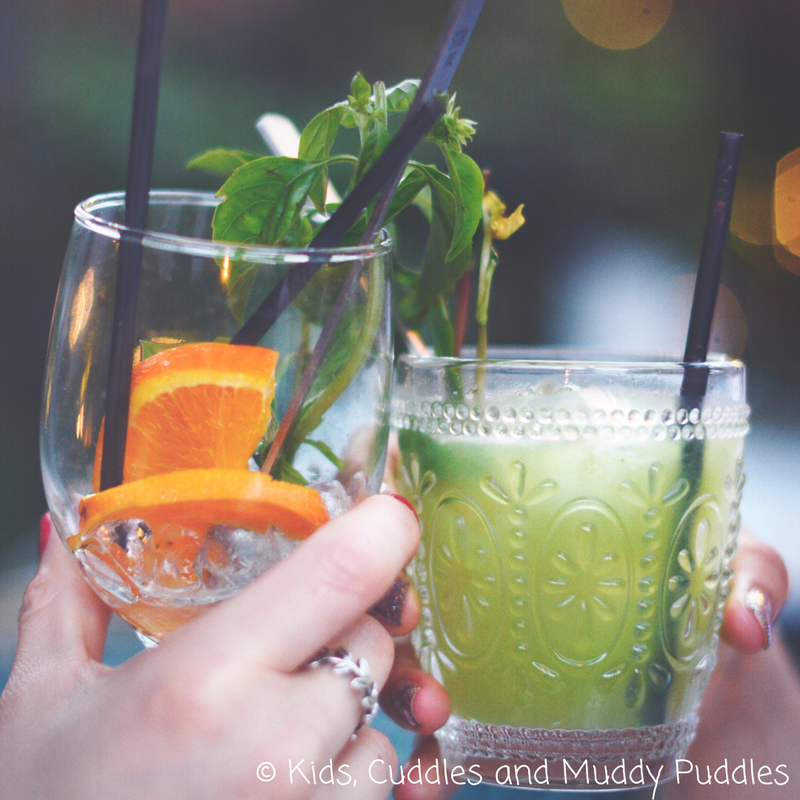 If childcare in the evenings is hard to come by, or you want to take advantage of your partner being out for the evening then why not organise a "Mum's Night In!" 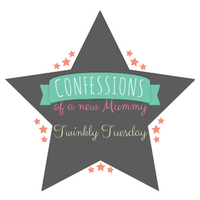 Wait til the kids are in bed, get everyone to bring some nibbles or something to drink, find a girly film or some face packs and let your hair down in the comfort of your (or your friend's) home! Have a "Mum's Night Out!" If you'd rather not risk waking the kids, then pin yourself down a babysitter and get out with some friends! It doesn't have to be a military operation as most child-free nights tend to be - just a trip to catch a film at the cinema or a drink or two in a local bar will do! Enjoy some time out with your friends. One benefit to the nights drawing in is that we can often trick our little cherubs into thinking it's bedtime sooner than it really is! But if that ain't happening in your house, why not do some baking with the kids after school? Trust me, it doesn't have to be anything to taxing or too time-consuming (I can't cope with much more than crispy cakes!) as I guarantee you, your kids will just relish the time spent with you doing something a bit different on a school night! Mince pies and jam tarts are super simple if you buy in the ready-to-roll pastry; cereal cakes with melted chocolate and marshmallows take next to no time and good old fairy cakes are fun to decorate! If savoury is your thing, why not have them make their own tea? Cheese straws to dunk in soup or mini quiches filled with their favourites are all quick and easy ideas. What are your favourite things to bake with your children? Many people (including myself) think winter is an excuse to over-indulge! Christmas day ends up turning into Christmas month, beginning early November with Christmas markets and before you know it, you've piled on the pounds! Feeling sluggish at this time of year doesn't help with the nights drawing in as we have a tendency to "hide-er-nate" - hide away, hibernate, veg on the sofa and generally avoid social interaction! So stop wishing you were healthier and making a New Year's resolution to change - there's no time like the present! Research local exercise classes, join a local running group, go swimming or get down the gym! Exercise releases endorphins, our body's own feel good chemicals. The hardest part is hauling yourself off the sofa in the dark to get there, but once you're there, no doubt you'll enjoy yourself and will end up feeling better for it! Hands up who has unlimited free minutes on their mobile phones? Keep your hand up if you rarely use any? That's me. Life is so extraordinarily busy and often mundane, just going through the daily motions, and we just don't find the time to stop and chat to friends and family. So why not make time to keep these important connections going? This is something I need to work on. Pin down a time and a day to have a chat with your best mate or your Mum, and get dialing! A good chat is good for the soul! Just remember to surround yourself with positive people to help keep the winter blues at bay! Look out for events going on in your local community and beyond, you'll be surprised at just how many great things you could get involved with! 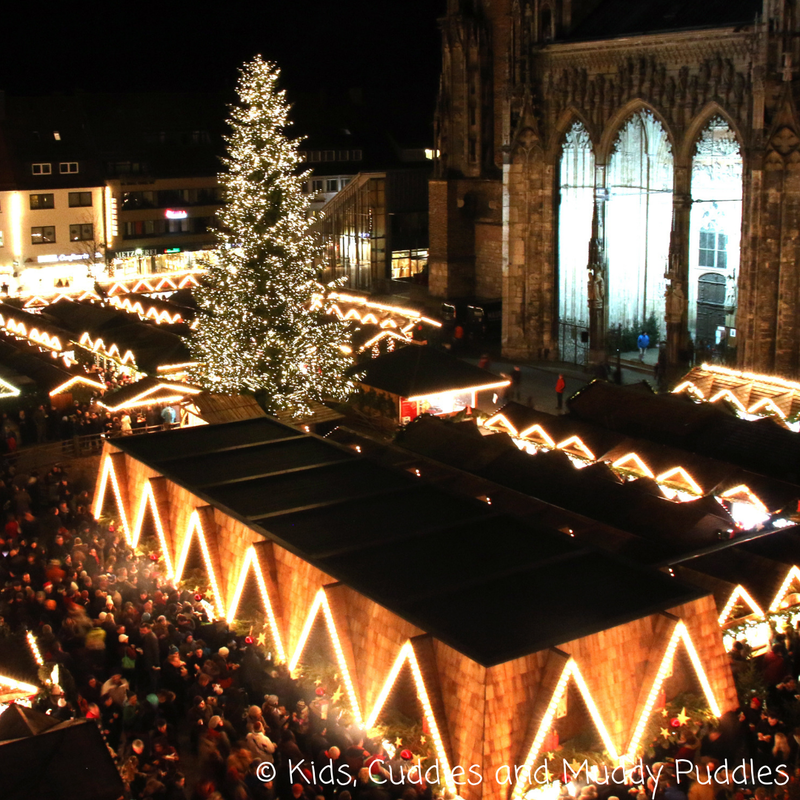 At this time of year, there are Christmas markets, local Christmas fairs (most schools and churches have them), and carol services. There are even winter wonderland style events with funfairs and ice-skating rinks! Garden centers are great for a little festive trip out, and many of them have smaller Santa's Grottos with shorter queues! You can't help but get into the seasonal spirit with all that cheer around! Wander around your local Christmas market and soak up the atmosphere. 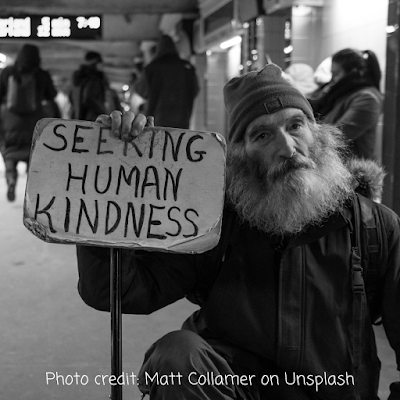 One of the most humbling ways to pull yourself out of a seasonal funk is to go and help out someone in need. Seek out your local homeless charities and see what they need help with at this time of year - it could be donations of your old clothes, food for food banks or a few hours of your time volunteering at the soup kitchens or homeless shelters. Could you give up some time to help others this year? Why not get in touch with an animal shelter and see if they need any help walking the dogs or cleaning out cages? Call your local hospital or nursing home and ask if you can spend time with patients chatting, playing board games or making simple Christmas crafts. With just a few hours of your time, you could really make a difference to someone else's life, whilst enriching yours and gaining a deeper appreciation of what really matters. 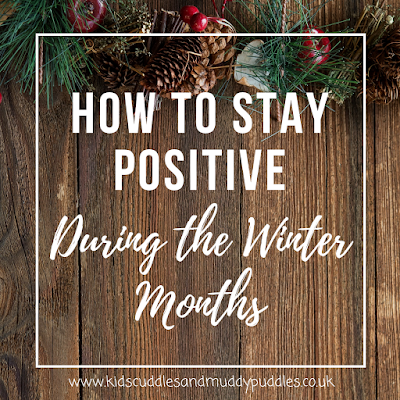 There are so many ways to stay positive during the winter months, and you don't have to spend a fortune either. Keep your spirits up and remember to cherish every moment you have on this planet - Life is too short. Look after yourselves and each other - Remember, if you are really suffering and think you may have depression or SAD, please do make an appointment to chat to your GP. For a list of symptoms, visit the NHS website and seek professional advice if you need it. Don't suffer in silence - there is so much help out there, don't be afraid to take it. 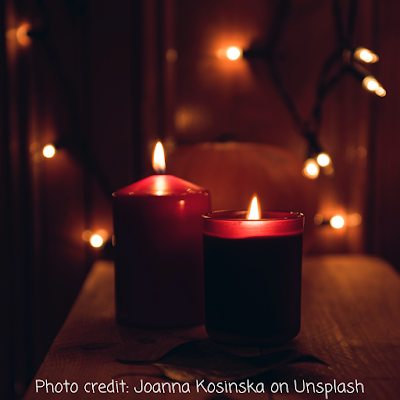 What are your favourite ways to spend these dark wintry days and nights? I'd love to hear them in the comments below! Finding joy in the little things: Well, many of the things I've written about above are little things that I enjoy. If you look hard enough, you will find joy in every day, even the darkest, coldest ones! I love the way my kids throw themselves head first into the winter season - they love to wrap up in hats, scarves and wellies and go on a muddy walk. Their eyes light up when we stop at a park because, "it's never too cold to have fun Mummy!" We can learn a lot from our children, can't we? 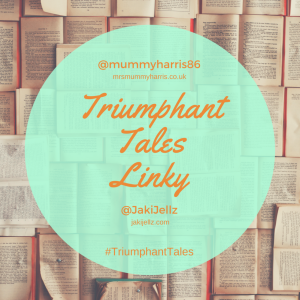 These are some really great tips, there is nothing I love more than snuggling up to watch something on the tele with a blanket and a hot drink! Some excellent tips here - especially the last one. I used to live in Alaska where there is a lot of darkness. I'm finding it harder living now in Seattle because even though it snowed a lot in Alaska, that meant that it also made things bright and white which really helped. Seattle winters are just overcast, rainy and dreary. Though they are SO much warmer!